Peace Academy in Tulsa, OK, has chosen to use Harris School Solution’s (HSS) McREL Power Walkthrough for their classroom observations. McREL Power Walkthrough — which can be purchased individually or as part of the complete McREL EmpowerED Suite — is the research-based classroom observation software that makes gathering classroom data and providing instant and formative feedback to teachers both easy and effective. The Tulsa, Oklahoma, school district is new to our line of Student Information solutions, so we warmly welcome them to the HSS family! Want to find out why so many schools are teaming up with HSS? 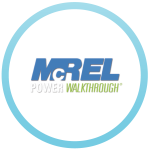 Click below to learn more about McREL Power Walkthrough.